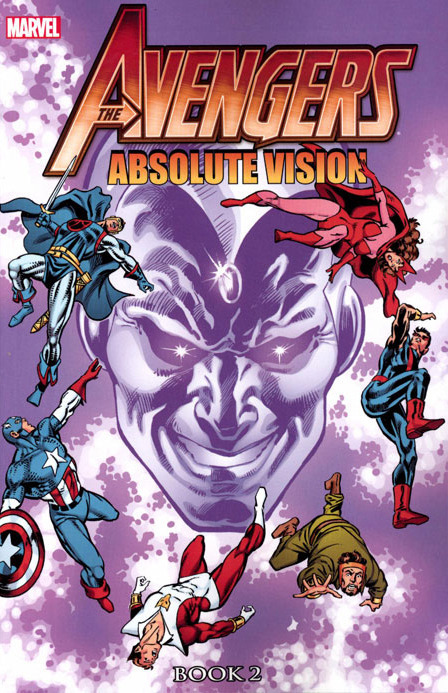 Firstly, Absolute Vision book 1 isn’t required reading. 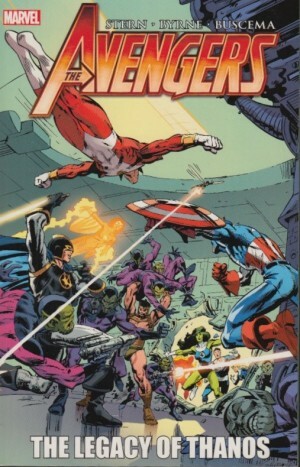 The primary connection is a chapter showing a deactivated android Vision upgraded and able to interface with the computer systems of Avengers Mansion, and with the advanced systems of Titan, all re-capped here. The remainder is hardly prime quality Avengers material. There’s a far greater focus on the Vision in this collection, as writer Roger Stern heads towards the title story, but as that’s the final chapter there’s a fair way to go. The Vision that completely recovers in the opening chapter is a far more confident and assertive character than previously, and he rapidly assumes the chairmanship of the team. 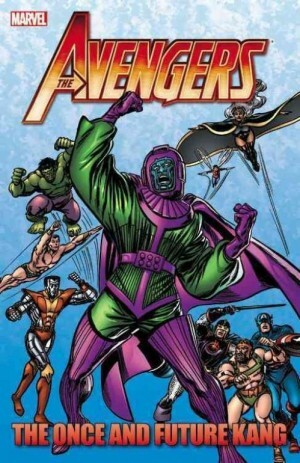 It’s established via brief segments over succeeding chapters that he plans the Avengers become a more effective unit, but he then starts scrutinising the larger problems the world faces and constructs a device enabling him to control any computer system on the planet. 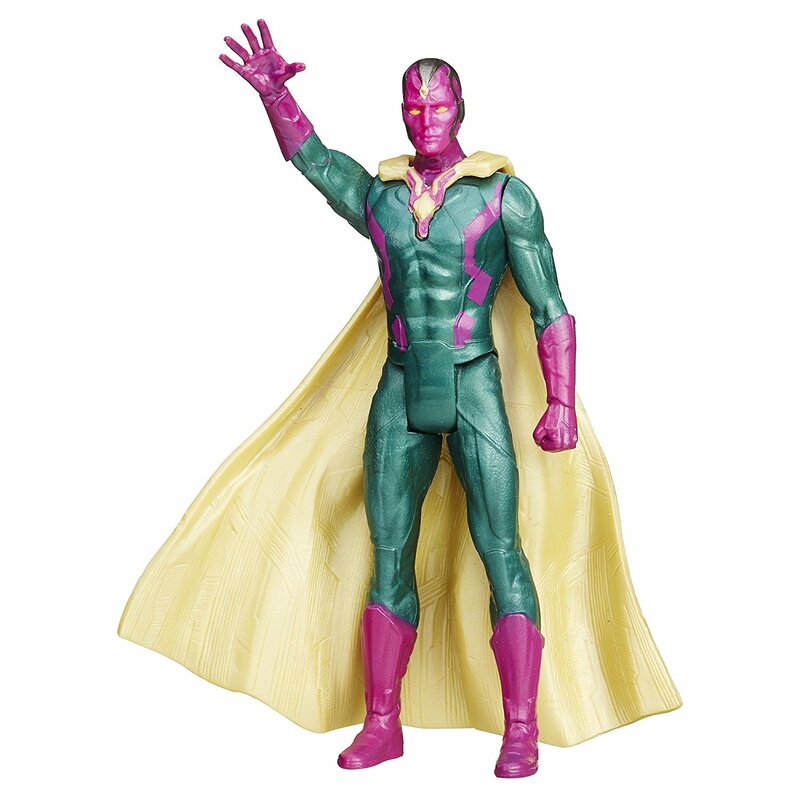 And anyone wanting to peek into the Vision’s nightmares has their opportunity here. 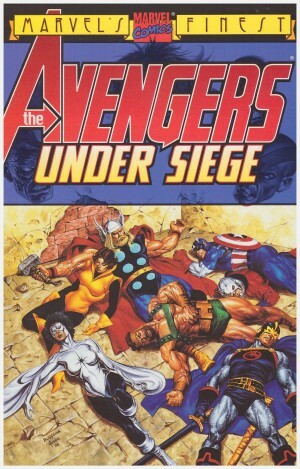 Before that the Avengers battle Dire Wraiths and ancient demons in stories offering snippets of interesting characterisation, but mundane superhero action. Part of the problem is the limited ability of pencil artist Al Milgrom, who can render even the grandeur of the Eternals as cluttered and cramped. Bob Hall’s pencils on the final chapters are a marginal improvement. Another problem is the most prominent foe here, Maelstrom, might as well secrete a boredom gene. 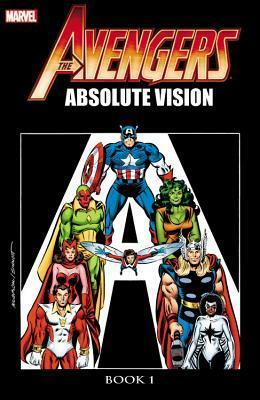 As a complete volume there’s a distinct rise in quality from Absolute Vision book 1, with Stern including an impressive number of Avengers along the way. The title story in which the Vision enacts his plan is well-handled, if heavy on exposition, leading to an unpredictable conclusion. 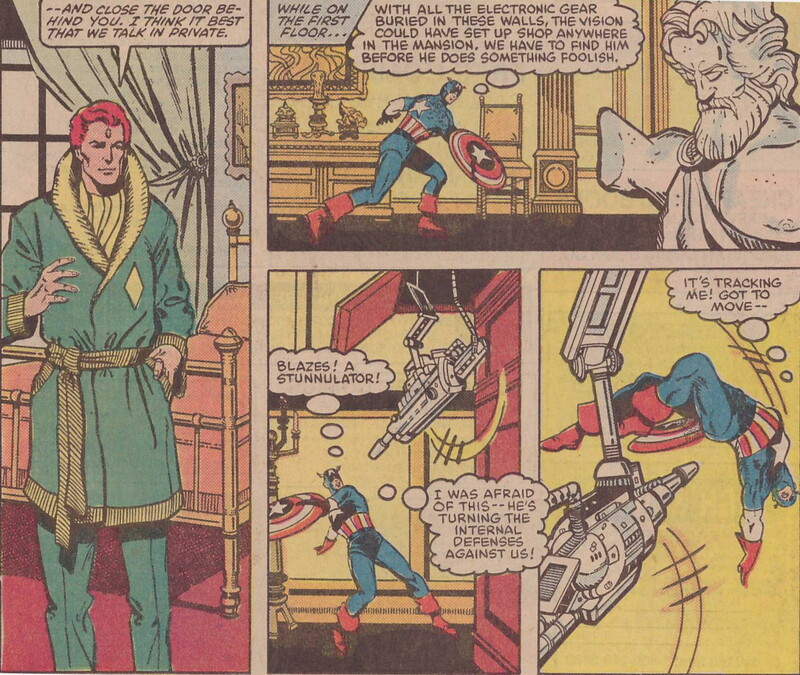 Also included is an Avengers annual featuring the interesting art combination of Steve Ditko and John Byrne. When the Avengers are checking Bruce Banner’s lab they run into the Hulk and Arnim Zola, the latter wonderfully depicted in amorphous style by Ditko. Considering the high price charged for this collection, one might assume some higher editorial standards, As with The Once and Future Kang, a story crosses over into another title, in this case Thor, and once again the concluding chapter is omitted here. Roger Stern’s Avengers run continues with The Legacy of Thanos.